Do you monitor your website to ensure you are getting the best results? Do you know how many visitors your site is getting? How long are they staying? Which pages are most popular? Like other areas of your business, where you monitor them regularly to make improvements, your website is exactly the same. We all know that websites should be updated regularly, both from a technical and content perspective, but how do you what you need to change or add? To really make the most of your investment, your website should be continually monitored using an analytics software. As a Google Partner, we recommend Google Analytics and install it as standard on all the websites we build. A client of ours had never checked their Analytics and until we looked at it with them recently, they didn’t realise that no one had ever clicked on another page, beyond the home page! What devices is your site mainly viewed on? 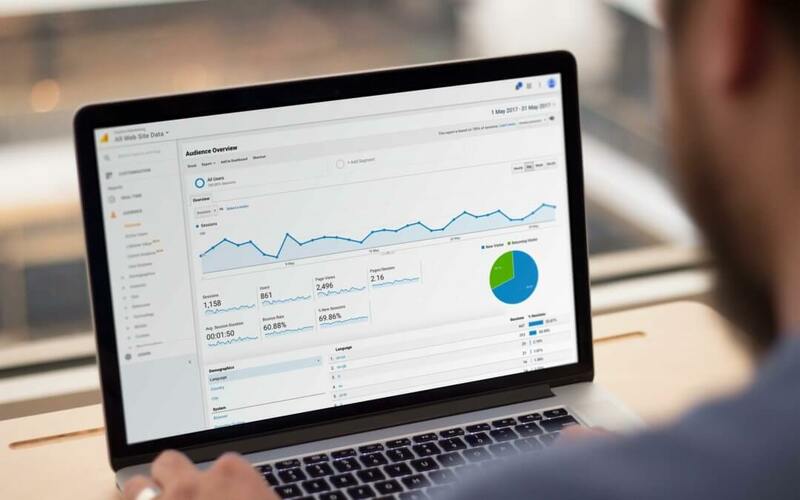 These are just the highlights, as there is a lot of data that Google Analytics collates, which you can delve into on many levels on a page-by-page basis. 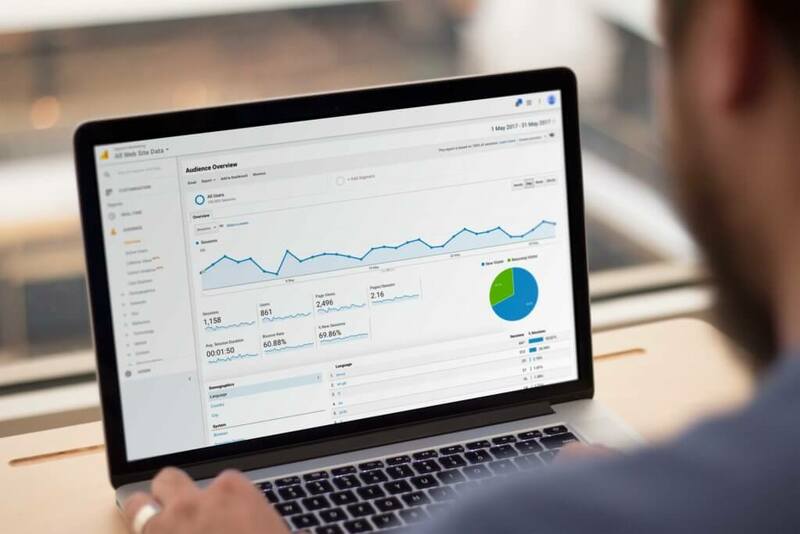 In fact, the breadth of data that is available on Google Analytics can be quite daunting to those that are unfamiliar with it, as it can be hard to pick out what is relevant to you and your site. So here are just a few of the simpler ways that you can use the data to make improvements to your website. The higher the bounce rate, the higher the percentage of people that have only visited one page of your site and then left. Take a look at the pages on your site that have a high bounce rate, then evaluate the page’s content to see if it needs to be more engaging or encourage an action. Make your content enticing and grab the user’s attention quickly. Knowing where your traffic comes from will help you to plan your marketing budget. You can compare how much traffic is coming from any paid advertising (such as AdWords) versus organic results, and see if any money spent on social media is effective. Organic Search – If you have a large percentage of visits from people searching for you in a search engine, e.g. Google, Bing, Yahoo, this lets you know that your pages are well-optimised and you are being found in search results. If organic search stats are low, then you need to invest in an SEO strategy. Referral – By seeing which sites link to your site and send visitors your way, you can establish which are worth investing time and money to build a relationship. If you pay to have your business listed on any directories, this is a great way to find out how worthwhile that investment is, as you will be able to see how many users have been directed from that referral site. Social – Most businesses these days have a presence on social media and spend a proportion of the marketing budget on communicating with customers in this way. By monitoring how many visits you get from various social media channels, you can see if your money and time is being spent in the best way. Paid Search – If you utilise Google AdWords, this area will give you more detail about the types of clicks you are getting from your paid ads. If the engagement is not what you expect and you are not reaching your goals and conversions, then you can change your ad content or your paid search strategy. Using the ‘behaviour flow’ feature, you can follow a user’s journey through your website, page by page. At the point visitors most commonly choose to exit your site, you can take a look at that page to see what improvements may need to be made. As it shows the most popular path through your website, you can prioritise changes to your website. Make edits and improvements to the pages that people visit most often first as it will have more impact. If you want to add a key piece of information, such as an image, video or testimonial, you can put it on a page where more people are likely to see it. Google Analytics provides important data on what percentage of traffic views your site on desktop, tablet or mobile devices. All sites should now be responsive as standard for easy browsing on any device, but if you are experiencing a high bounce rate on tablet or mobile, you know that some improvements need to be made. See our blog on ‘How Does Mobile-First Indexing Affect Your Website?’ to see how important your mobile site is, even if you don’t get a high percentage of mobile views. Within Behaviour and Site Content, you can view a range of useful information on all pages, landing pages and exit pages. In ‘all pages’, the pages with the highest number of sessions indicate which content your visitors find most useful, so put more effort into keeping these up-to-date and produce more of the same. From your most popular pages, you can link to other content that may interest your users, to try to up-sell your products/services. You can also use this information to create new pages with a similar style and format to try to attract more visitors. By looking at your most popular landing pages, you can see where people are landing, and see if they are finding these pages through organic search, direct, paid ads, social media etc. This helps with your overall digital marketing strategy. The most popular landing page on a website is usually the home page, but make sure that any links from social media, ads or referral sites link to internal pages if they are more relevant than the homepage. If a visitor doesn’t find what they want straight away, it is likely they’ll just leave. Exit pages are also useful to investigate but it is an area of ambiguity. A user may leave because they haven’t found the information they are looking for, or they might leave because they have found it. Depending on the website, an online conversion may not be the goal, so exit pages have to be viewed as individual cases. As mentioned above, the extensive data that is available can be quite overwhelming for someone new to Google Analytics. Each individual business and its goals will require different analysis of the data, so it is helpful to get an expert to take a look for you. Hyphen offers monthly Google Analytics reports, tailored to your business’s goals, so please contact us for more information. How Does Mobile-First Indexing Affect Your Website? Jenni Cabrelli on Will you help Jordan Motors pick a new logo? Abby on Will you help Jordan Motors pick a new logo? Andy Tester on Will you help Jordan Motors pick a new logo? Simon Spence on Will you help Jordan Motors pick a new logo? stacey on Will you help Jordan Motors pick a new logo? The aim of any website is to get to the top of Google’s organic search results for a desired keyword or phrase, but how to achieve that is somewhat of a mystery for many. Google makes thousands of changes every year to its algorithms and one we’ve been hearing a lot about lately is mobile-first indexing. But what does this mean? Mobile-first indexing means that when Google’s bots trawl your site to index your data, they will look at your mobile site first and this will be the baseline for how they determine its ranking. If Google doesn’t find a mobile-friendly site, it will go on and trawl your desktop site and rank it accordingly. However, a site without a mobile-friendly version is likely to rank lower than one that does, not just on mobile searches, but on desktop too. How Does It Impact My Website? It is not possible to comment on every eventuality for every site, but as a general rule, if you have a responsive site, then this change should not have a significant impact. Responsive sites change automatically to fit the size of the user’s screen, so as well as offering an optimised browsing experience, they rank well on both mobile and desktop because they hold the same content. At Hyphen, we build responsive sites as standard to provide users with a consistent experience across different platforms and as benefit to search rankings. If you have a separate mobile version of your website that has less content, less tags, different structure, fewer backlinks etc, then the mobile-first indexing may have an impact. If you have a responsive site, then it is likely you won’t need to do anything. If your site isn’t responsive, then you may need to think about transferring the information to a new site to minimise the chance of losing search rankings. Feel free to chat to our team about your concerns or requirements. If you have a separate mobile site, we would recommend that you start by reviewing your sites to see if any work needs to be done. For example, is the same content available on the desktop and mobile sites? Is your SEO data on both sites, e.g. titles, descriptions, alt-tags? If not, then some work will be needed to avoid a potential decrease in rankings when mobile-first indexing rolls out. If you want to discuss your website, please speak to our team for some advice, and we will be happy to offer a quotation for a responsive website. Each new year, you can’t avoid the ‘new year, new you’ promotions, and the endless resolutions that people set for themselves to achieve new things…everything from eating more healthily and doing more exercise to giving up a bad habit. Whilst these are excellent personal goals, how many of us set resolutions for our business and our brand? Perhaps you have been meaning to update your website for ages, but haven’t got around to it? Maybe your logo is looking a bit tired, but you think ‘it’ll be alright for a bit longer’? And that brochure you’re still handing out, apologising for the sections that are out of date…well, it’ll get updated at some point…right? Don’t feel bad if any of these apply to you. We are all guilty of getting caught up in day-to-day jobs and letting our own branding priorities slip to the bottom of the list. After all, we need to spend all of our time looking after our customers, don’t we? Let’s relate this back to those personal resolutions that we mentioned above. If you spent all of your personal time looking after your children, spouse, parents, friends etc, then you would neglect yourself and you would start to feel tired and lose your zest for life. And this is the same for your business’s brand. It needs some time spent on it regularly, so it continues to look healthy and continues to work for your business. Regular work on your brand means that it is continually evolving and it moves along with the changing expectations of consumers. It also means that major revamps can be avoided…although that is not to say that a revamp is a bad thing. Change is positive. 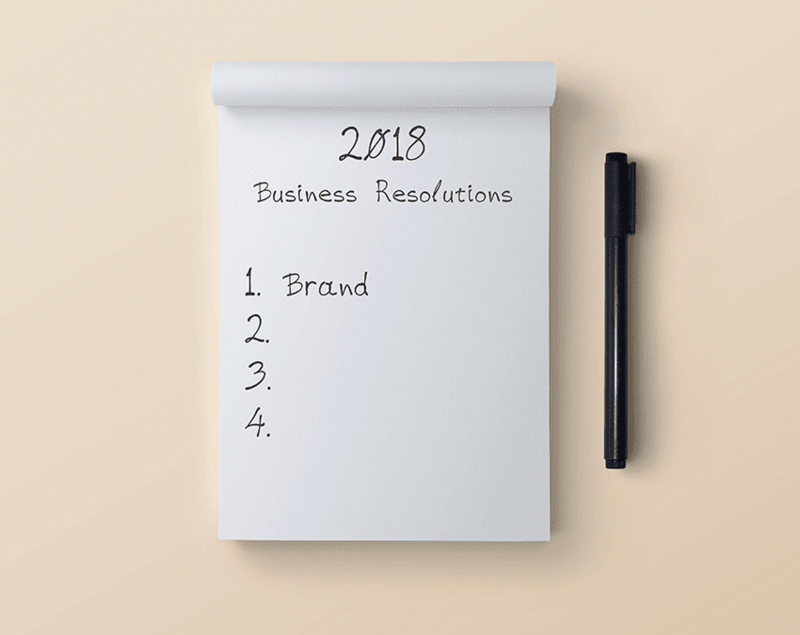 If your brand is something that has sat at the bottom of your list for quite some time, perhaps 2018 is the time to push it right to the top and make it a priority? If you are not sure where you are with your brand, and how it is viewed by your customers, we can carry out a brand audit to give you the answers, and work together to discuss where your brand might benefit from a little TLC. Whatever your branding resolutions, feel free to have a chat with our branding experts and let’s see what this year could hold for your brand. 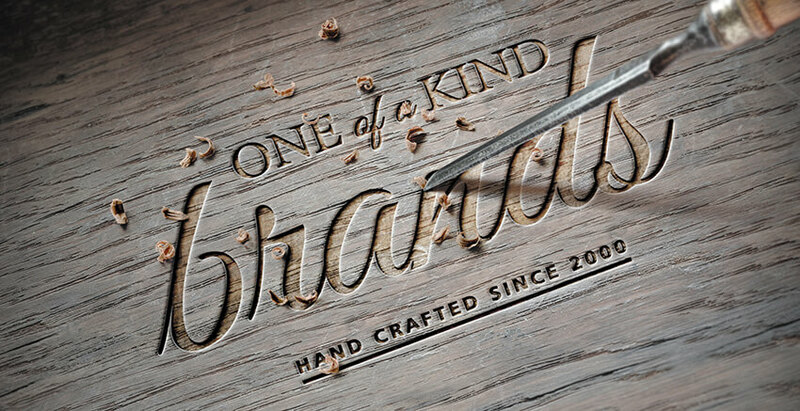 Creating a solid brand, with strong foundations is much more than just a creative brainstorm. 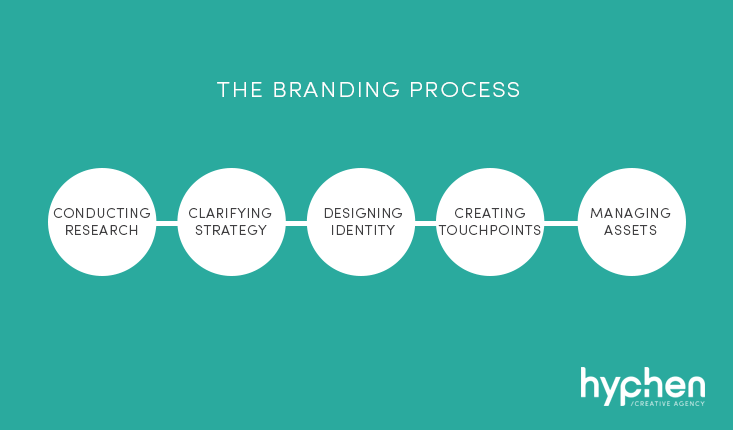 The branding process is a combination of investigation, strategic thinking, project management and creativity. This may sound incredibly complex, and for some brands, a very in-depth process is required, however there are many levels on which successful branding can be created. A previous post talked about the word ‘branding’ being off-putting for many people and it is when branding experts go into lots of technical detail that it creates the impression that branding is daunting. Yes, there is a lot that goes on in the background and yes, there are processes that we, as experienced brand stylists follow, but the one thing that we do, is to make sure that the branding process is kept as simple and jargon free as possible for our clients. Research is essential to examine the current position of the brand and investigate which direction the brand should go in to maximize its potential. So the first priority is to understand the company’s mission, vision, target markets, brand values, personality, strengths, weaknesses and its USP. This can be achieved by asking key management and the key stakeholders a number of questions. For many of these, you can directly ask what they believe the company’s vision, markets etc are, but for others we tend to ask indirect questions. For example, instead of asking ‘what is your brand personality?’, we might ask ‘what 3 words would you use to describe your brand/company?’, as you will build a much broader overview of the brand. A similar approach is given to the research of stakeholders’ views and perceptions. Questions may be asked of staff, customers, suppliers or the community, to obtain their views. As above, the questions will be more general, such as ‘why do you choose…’, ‘what is most important to you’, ‘how do you rate…’ and ‘choose 3 words to describe’. The answers from these can analysed and put together with the other research to determine the brand strategy. The brand audit is also an important part of conducting brand research, as it allows you to look what currently works, and what can be improved. The brand audit looks at the brand identity – the logo, the tagline, the colours and fonts, and at all marketing materials and the online identity. More often that not, there will be some elements that will want to be retained to allow some continuity and to keep a sense of history and longevity for the brand. Once the research phase has been completed, a report can be put together to inform the development of the brand strategy moving forwards. The research does not often result in an epiphany for the brand, but those experienced in the branding field, can read between the lines, make connections and identify opportunities. A brand strategy is essential in showing which direction a brand should take, in order for it to grow. Developing a brand strategy takes a combination of rational thinking and creative imagination to create a strategy that works for the company internally and for its customers externally. So, in developing a new brand strategy, it is important to look closely at the company in terms of how you wish it to be portrayed and also from the perspective of the customers; what do they want and does your brand satisfy their needs? More often than not, a complete new brand strategy is not required. It may be that some of the elements are already defined and in place, and just need blending together to create a unified message and identity that needs to be taken through to the design process. A strong brand has a narrow focus and many companies make the mistake of trying to be too many things. As brand stylists, we are looking for the big idea, or the gold. It has probably been there all the time but has been hidden away. By bringing in an external consultant and allowing them to speak to management, staff, customers etc, it often brings out the brand essence and leads to one key focus, which is what your brand can become known for. The most successful brand positioning is one which tells consumers that the brand can deliver and why they should be selected over the competition. Consumers are overwhelmed with purchasing choices, so you need to tell them “buy this from us because…”. And you will understand the reasons why they may choose to buy from you, having completed the research in stage 1. Another part of developing the brand strategy is developing or clarifying the company name and tagline, if one is required. Naming a company is a very complex task and one that requires a significant amount of time, thought, brainstorming and research. The brand name is a valuable asset and any decision to rename must not be taken lightly. Having read the analysis and strategy report, designers will use their experience, intuition, imagination and creativity to develop the strategy into a visual representation of the brand. 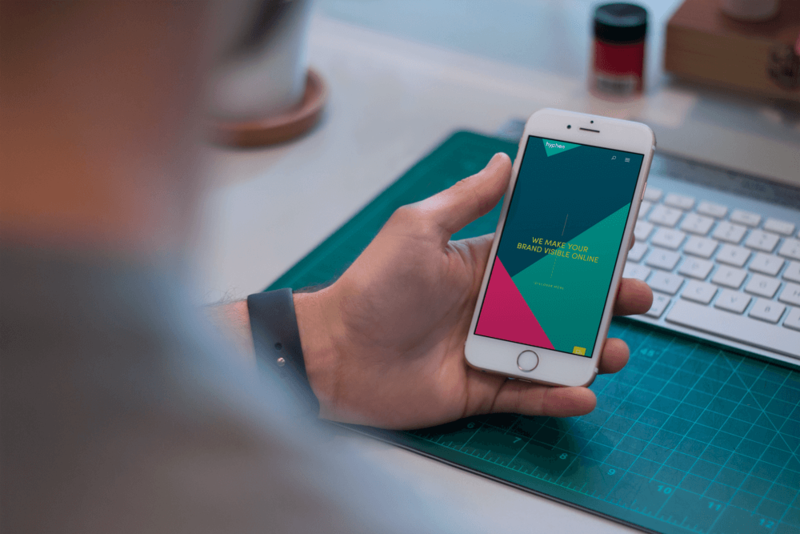 Each designer and design agency will have their own way of working, but designing a corporate identity will involve time and patience, and will start by developing several ideas which over time, will be condensed down into one final concept. When designing a brand identity, we look in detail at a number of key areas and whether they accurately represent the values and personality set out in the strategy. The design process begins by creating a logo, which will become the graphical representation of the brand. Colours, fonts, shapes and icons are all considered to create something unique, eye-catching and illustrative of the brand. An overall brand identity is also created to give a look and feel to the brand. On any marketing document for a brand, you should be able to cover up the logo and still know what brand it belongs to, just from the colors, imagery, typography, styling etc. A large part of designing identity is down to choice of colours and fonts and these are areas that will be covered in other blogs, as there is too much detail to go into here! To make sure that the logo works as part of the whole visual identity, it has to be trialed on real documents, for example, business cards, letterhead, website, leaflet, folder etc. From these, it can be established whether it will work on different scales, on different materials, and on screen or in print. We have a range of branding projects in our portfolio that show how the brand identities we have designed work across a wide range of materials. This stage involves taking the identity created in stage 3, and developing it over a range of touchpoints, which are essentially any point of contact between a business and its customers. The key part of this stage of the branding process is to create a consistent, yet flexible look across all touchpoints, which fully represent all of the values determined in the strategy. The final look needs to work online and offline, at large and small scales, and in targeting all potential markets. In essence, it is creating a unique visual language that will express itself across all applications. Once it has been established that it ‘works’, the design of all of the touchpoints can be finalised. Managing your brand identity assets requires a long-term commitment from company owners/directors to building and maintaining the brand. To make a brand a success, it requires ongoing monitoring and input. There are a few key steps in this process. It is important to launch the brand internally first to ensure that all employees are ‘singing from the same hymn sheet’ as the expression goes. Internally, employees need to know why the brand is important, what it stands for, what it means and how they can communicate it through their interactions with customers. An external launch can be one event, or a gentle series of marketing messages. At all times, the brand launch should be focused on the customers, and giving them the right messages at the right time. The messages should be reinforced several times. Does the change affect them? When are they going to find out? Managing the brand and its consistency in applications is facilitated by a set of branding guidelines that are accessible to all employees. It should be made clear by management that everyone within the company is responsible for adhering to the guidelines. If everyone works together and follows the guidelines, they can help to build a better brand. Designate roles – who looks after specific parts of the brand? Making employees feel involved can help them to get really invested into the brand. Long term brand success is achieved by employees absorbing the company culture and therefore emitting the brand values and personality through everything they do. Hyphen can help with all 5 stages of the branding process, so if you need any advice, please just call for a chat. A couple of years ago we looked at a few things you may want to consider if you are looking for the right time to rebrand. We thought it may be useful to update the article, to expand a little on the information provided as it is a topic that comes up quite a lot in conversations with clients. Whether you are looking for reasons to rebrand or reasons not to rebrand, we hope that this will provide an informative look at the topic of rebranding to establish when might be the best time for you. There are 5 main situations where a rebrand may be considered and we have included some questions/statements that you may be able to relate to. If any of these statements sound familiar, then now might be a good time to talk to a branding agency. Aside from the above statements, below are some other considerations when looking at a possible rebrand or refresh. It is worth noting that it isn’t always necessary to make big changes, but below are some of the times when a refresh or rebrand might be considered. There is no rule for how long a brand remains current. Branding styles go in and out of fashion, just like clothing but there aren’t many brands that are timeless, like a pair of jeans or a little black dress. Sometimes a complete rebrand isn’t essential, but a refresh of colours, fonts, or a style tweak can work wonders to bring your brand back up-to-date. We have recently completed rebrands for a couple of clients whose branding had remained stagnant for 10 years, so if your branding hasn’t changed in the last decade, it may be something to think about. Although you maintain your brand, it is your customers that control it, as what they say to each other creates a reputation, which is what your brand becomes known for. Over time, as your customers change, so should your brand. They will expect you to stay relevant and modern to keep their attention and a proactive brand will also attract new customers. If you used to do X but now you do X, Y and Z, now might be a good time to look at rebranding. Simply telling your customers you do more might be not enough. You need to show them your new focus by developing your whole brand to show your new vision and values. This is an obvious one really, as bringing together two brands results in a big branding overhaul. At the simplest level, it will require an analysis of the two brands’ strategies to see any overlaps or differences and deciding the route forwards. But for the most successful outcome, a new brand will be required to offer one united brand that shows what it can offer to customers. If people cannot pronounce your name, or have no idea what you do, then your brand is not working for you. If you started your business with a town or city in the name so that you sounded local and so it would help your SEO, then it probably seemed like a good idea at the time. But if you are ready to expand and the name is holding you back, then it’s time for a rebrand. This is one that many business owners would not admit, but sometimes a rebrand is needed simply because your branding is looking a bit dull, tired and out-dated. Rebranding can give your business a fresh new look that will be appreciated by both old and new customers. One of the biggest hurdles with branding is that businesses think that it’s an expensive and unnecessary task. But with the right brand styling, you should get back what you spend in increased sales. There is no right or wrong answer for the question ‘when is the right time to rebrand?’ but if you are looking for individual advice, we are more than happy to have a chat. As Leicestershire’s leading brand stylists, Hyphen are available for a free one-hour consultation to discuss what’s right for you and your business. Just contact us to arrange a suitable time and date. 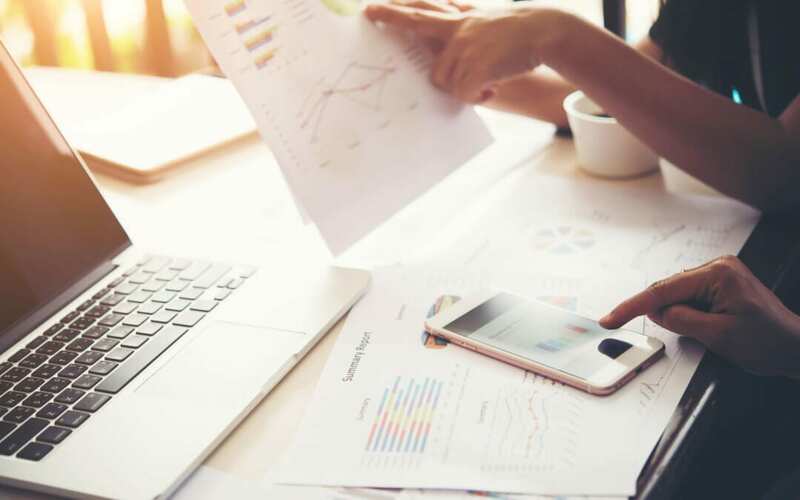 The UK economy is uncertain at the moment, in light of Brexit and the recent general election result, and understandably many businesses are likely to be cautious with their budgets, particularly branding and marketing which are seen to be non-essential. After the Brexit vote in June 2016, it was impossible to predict whether companies would hold back, apprehensive of committing marketing spend until they felt more sure about the economy or whether they would invest more to retain the loyalty of worried customers. We have spoken to many of our clients, and whilst some are still tentative and want to ‘play it safe’, others see the economic situation as an opportunity to build their business in a new climate and perhaps take a slice of market share from their cautious competitors. In economical uncertainty, some of the areas that businesses refrain from spending on is marketing, branding and design. But in order to grow the business despite the uncertain economy, marketing is one of the most important factors in keeping the business pushing forwards and getting noticed. Perhaps you have noticed that your competitors have stepped down their marketing efforts? This is the prime time for you to get out there and increase your marketing to make your position in the market much stronger. TalkTalk, for example, announced that revenues had dipped by 3% in the last year and that they would be increasing investment in marketing over the next 12 months. So if your industry is experiencing a dip, and you are thinking about being cautious with your marketing budget, think about the benefits that investing in some creative work could have. By getting your name out there with a new look and new messaging, you can remind your customers that you are still there and ready to do business with them and show potential new customers that you are THE people to work with, despite the market situation. Just remember, you will rarely win new business by sitting cautiously waiting for people to come to you. Push your business growth by investing in your brand, and making sure that it gives the right message, to the right people, at the right time. Our branding experts at Hyphen are here to chat if you need any advice in this area, so please just contact us.